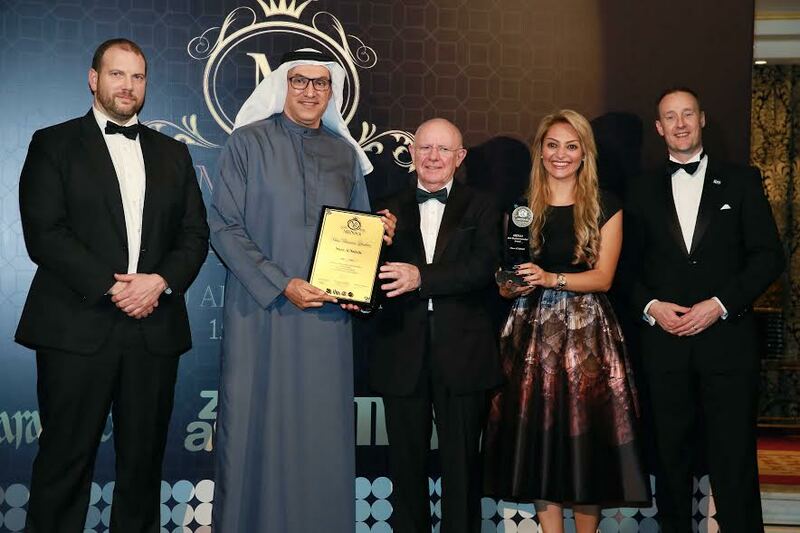 The company won the MENAA Customer Delight Award and Naser Al Nabulsi, Vice-Chairman and CEO of Al Mal Capital, won the MENAA Best Business Leader Award at a gala ceremony held at Burj Al Arab Hotel in Dubai. Achievements of top business leaders across Middle East, North Africa and Asia were recognized during the ceremony, organised by MENAA Organization and attended by over 200 regional executives. Held in partnership with the Institute of Leadership and Management, City & Guilds Group and Zurich University of Applied Sciences [ZHAW], the MENAA awards salute remarkable business leaders in the region for their commitment to excellence, developing best practices and innovative strategies. The awards epitomize the core values of strength, innovation, ingenuity, knowledge and foresight in a successful leader, which are imperative to carving out powerful businesses in the global economy. Al Mal Capital, established in 2005, is a diversified, multi-line investment institution headquartered in Dubai, and licensed & regulated by the Central Bank of United Arab Emirates. In May 2015, Dubai Investments acquired 60.86% stake in Al Mal Capital. Al Mal Capital offers a wide range of investment products spread across its business lines of investment banking, brokerage and asset management. The Company maintains a unique value proposition in bringing a wealth of experience, along with the application of global standards, to the region. Al Mal Capital offers a client-centric business model with discretionary portfolio management, private equity funds, international equities, options trading, investments advisory and skills in structured finance, IPOs & private placements.